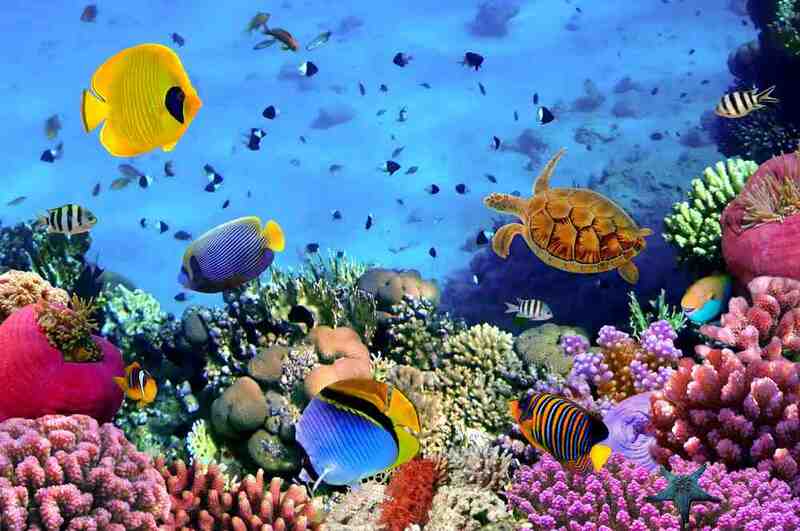 The brilliant colors of tropical fish and the exotic marine life living beneath the sea lead vacationer’s to embark on scuba diving adventures all around the world. Scuba diving is a unique excursion because you never see the same image twice. With every turn of your head and kick of your feet, you are given a new and exciting view. Each specie is very unique in their own way and as they gracefully swim past they leave you in awe trying to take in every detail. The curiosity of the sea will always call adventure seekers to explore beneath the ocean waters. Scuba diving is offered in multiple destinations around the world, but where can you see the most interesting species and a bigger variety of marine life? 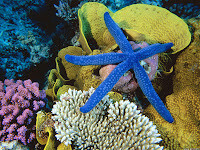 Divezone.net has the top ten dive sites listed and gives details on each. Their top rated dive site is a sunken ship wreck in Australia, SS Yongala Wreck. The ship rediscovered in 1958 uncovered an underwater world you have to see to believe. The amount of marine life that calls this ship wreck home is incredible. While diving at the SS Yongala Wreck in Australia, you can expect to see barracudas, Giant Trevallies Turtles, and sea snakes. Keep your eyes out for the bigger species as well and you just may spot a Bull Shark or a Tiger Shark. The Sipadan Islands are known world-wide for the amazing visibility beneath the water and a top dive-site. Among the Sipadan Islands you will find a dive destination, Barracuda Point. Imagine thousands of barracudas passing by, tropical fish, sea turtles, and even sharks swimming all around you. This is a dive for the books, so don’t forget your underwater camera on this excursion! Third on the list is a dive site, North Horn, for the adventure seeking, dare-devils. 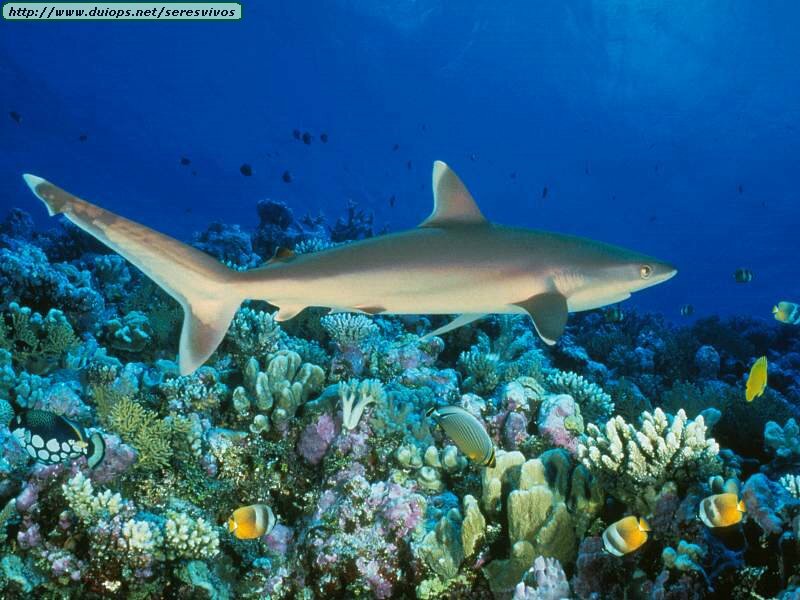 Located in Australia, you can dive with all the sharks found swimming along the Great Barrier Reef. Encountering so many different marine species and swimming with the sharks, it’s like swimming in an aquarium. Keep your eyes open and see how many different species of sharks you can spot during your dive. Look for the plentiful Gray Reef Sharks, Silvertip Sharks, Hammerhead Sharks, and catch a feeding and your adrenaline will be pumping faster than ever! Richelieu Rock dive site comes in near the top at number four. If you have a trip to Thailand planned, make time to go scuba diving in a place also described as “Whale Shark Magnet”. Here you may spot a whale shark, Manta Ray, Dogtooth Tunas, Giant Trevallies Turtles, Tiger Tail Sea Horses, Pipefishes, Harlequin Shrimp and more. The variety of the marine life lurking below the waters at Richelieu Rock is incredible. Wreck sites are often popular areas for scuba diving because many marine animals find and make homes inside the nooks of the ruins. A popular ship wreck is the USS Liberty Wreck in Bali. With an unbelievable story of how the ship found its final resting place, the vessel lies on a sand slope in nine to thirty meters of water. While lurking around the ship wreck, keep your eyes open and you can hope to see a Black Tip Shark, a Garden Eel, and the Surgeonfish. All with distinct markings and various colors, the marine life is a sight to see here at the USS Liberty Wreck. Also found on divezone.net is sites 6-10 which include: Cod Hole near the Great Barrier Reef in Australia coming in at number six. At number seven, also located in Australia is the Australian Navy Pier. Crystal Bay can be found near Bali. Taking the number nine spot on the list is Batu Bolong Dive Site found in the Komodo Islands. Last but not least, wrapping the list up at number ten is Elephant Head Rock in the Similan Islands.